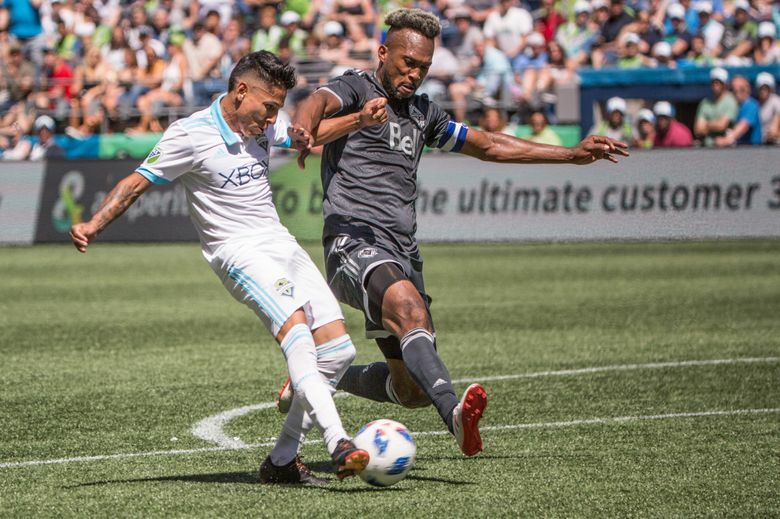 The Sounders didn't really need their new addition today, but the cheers that greeted Raul Ruidiaz weren’t so much about what he’d do on this day in a contest all-but-decided, but rather, how he’ll impact the team’s slim playoff hopes the final 15 matches. 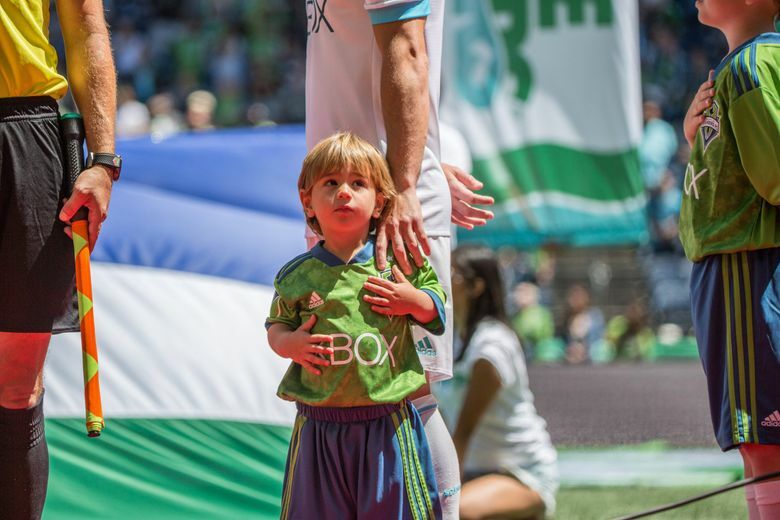 A vintage-looking Nicolas Lodeiro had already ensured the Sounders wouldn’t need their newest $2-million man by the time he finally took the field. 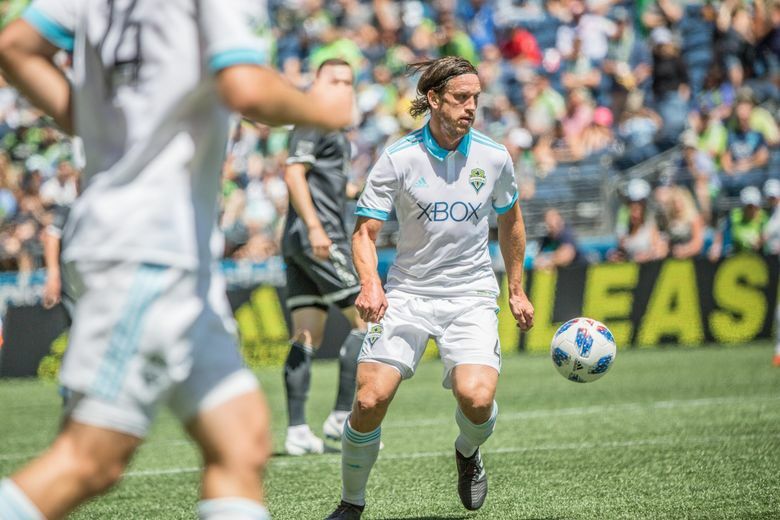 Smiling postgame after his two first-half goals sparked a 2-0 win Saturday over the visiting Vancouver Whitecaps, designated player Lodeiro talked plenty about his team finally playing like one. 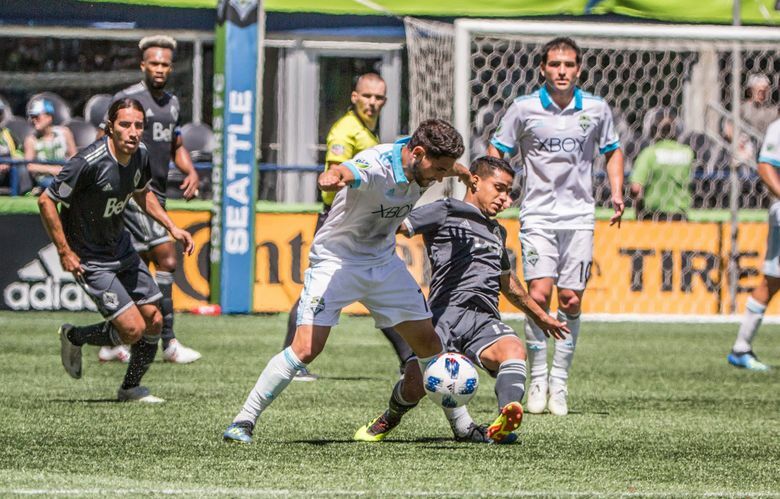 That the Sounders have their new DP striker Raul Ruidiaz broken in, courtesy of his 61st-minute appearance with the game all but over, can only help a playoff quest with a long way to go. 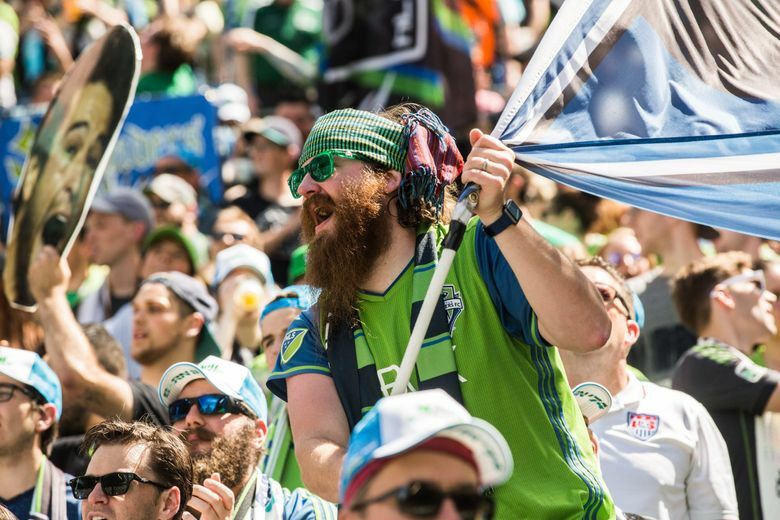 Indeed, a Sounders team unbeaten in its last four matches needs all the confidence it can muster. 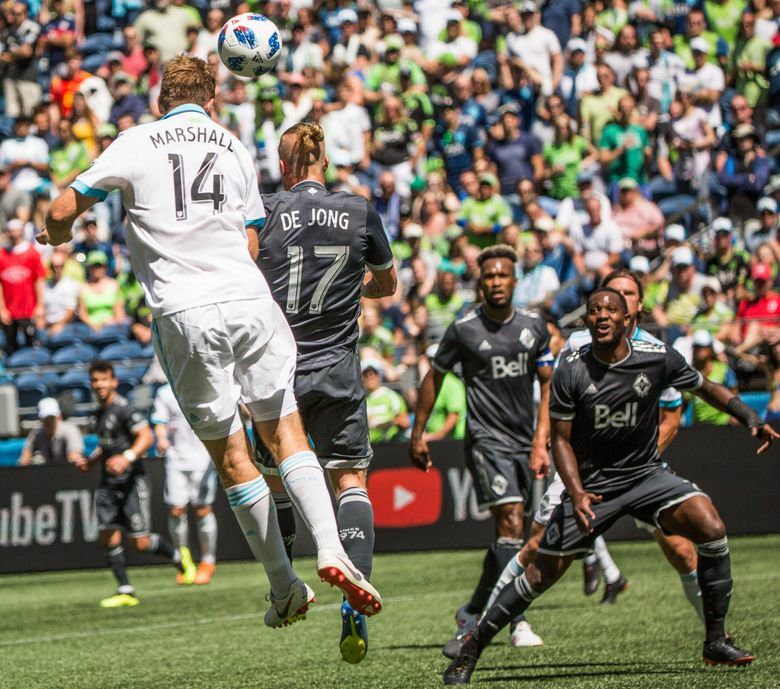 It began the day 11 points back of the Los Angeles Galaxy — having played one fewer game — in the race for the final Western Conference playoff spot. 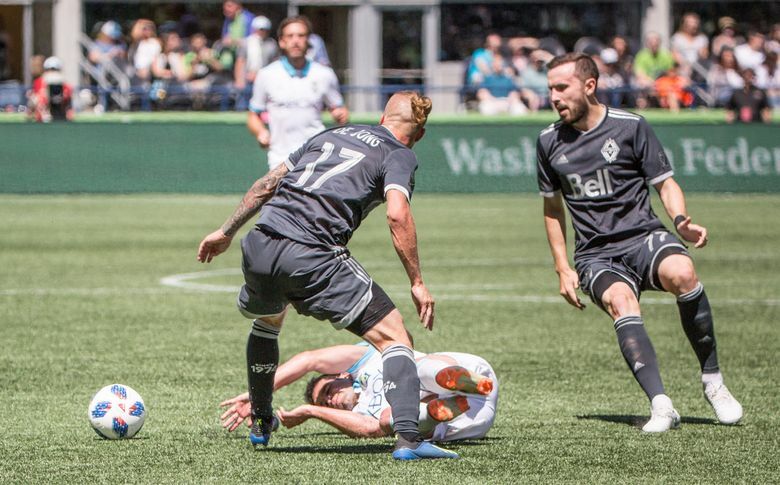 Throw in a 44th-minute hamstring injury suffered by Sounders midfielder Victor Rodriguez, and nothing about this midseason turnaround attempt will be easy. 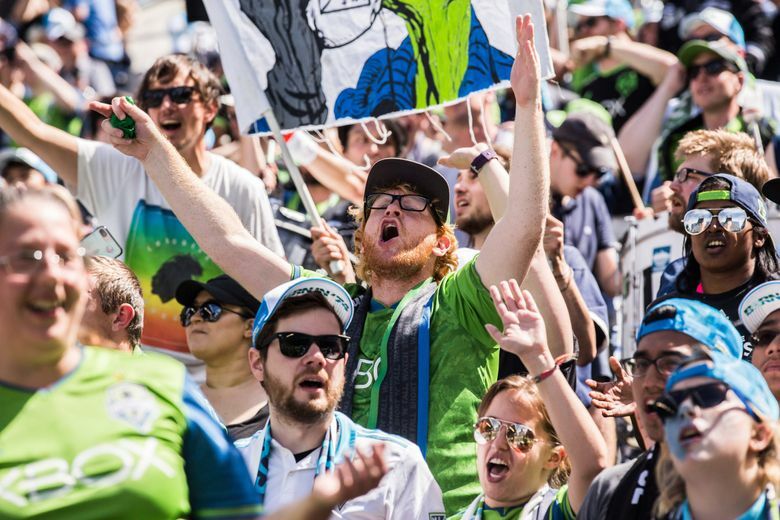 Hence, the thunderous cheers from 41,849 fans at CenturyLink Field once Peruvian forward Ruidiaz made his debut with the Sounders up two on Lodeiro’s penalty kick goal in the fifth minute and a 31st-minute strike from distance. 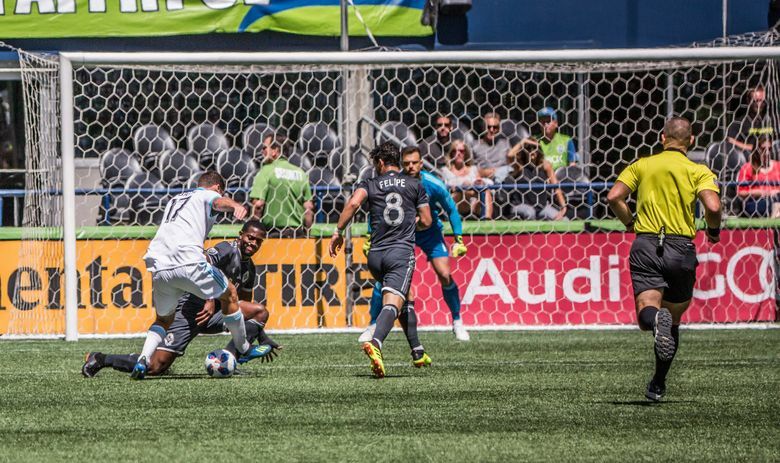 Ruidiaz needed only seconds to get knocked over, then seven minutes for his first true scoring chance — after playing a through-ball by Lodeiro — to be thwarted by Vancouver goalkeeper Stefan Marinovic on a close-range blast from the right side of the box. But the fans cheering Ruidiaz’s every move weren’t doing so for his impact on a game already decided. It was more for what he’ll mean the final 15 matches to a 5-9-5 squad desperately needing goals and victories. The Sounders paid $14 million to land Ruidiaz, averaging $2 million in annual salary through the 2021 season. 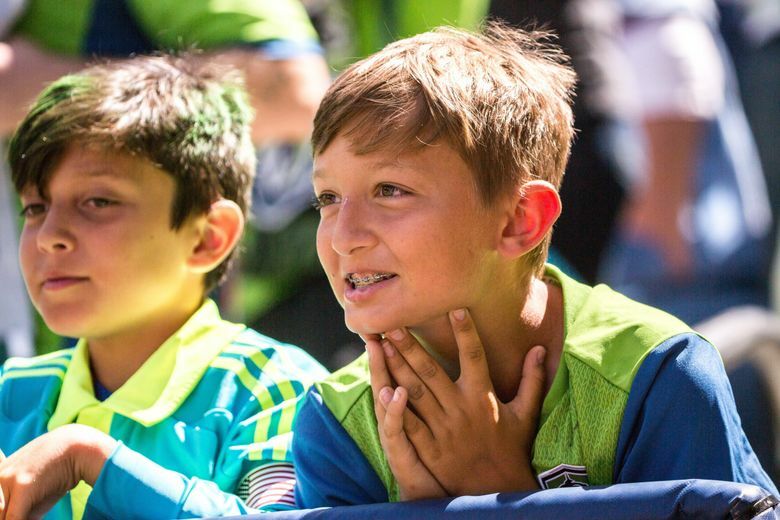 They’ve also extended Lodeiro — earning $2.4 million this season — through those years for a 1-2 attacking punch. 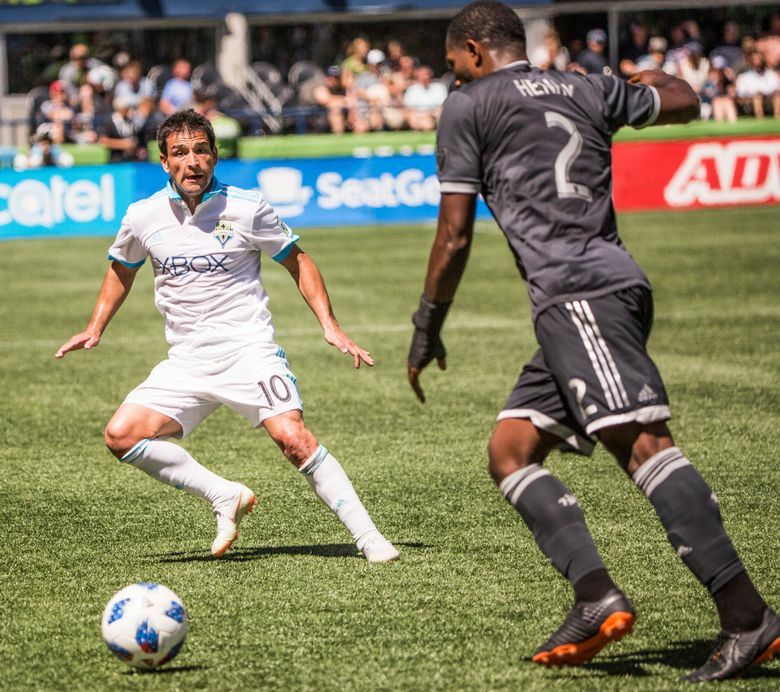 So, seeing Lodeiro produce arguably a season-best performance means as much to the team as anything Ruidiaz did against an overmatched Vancouver side. 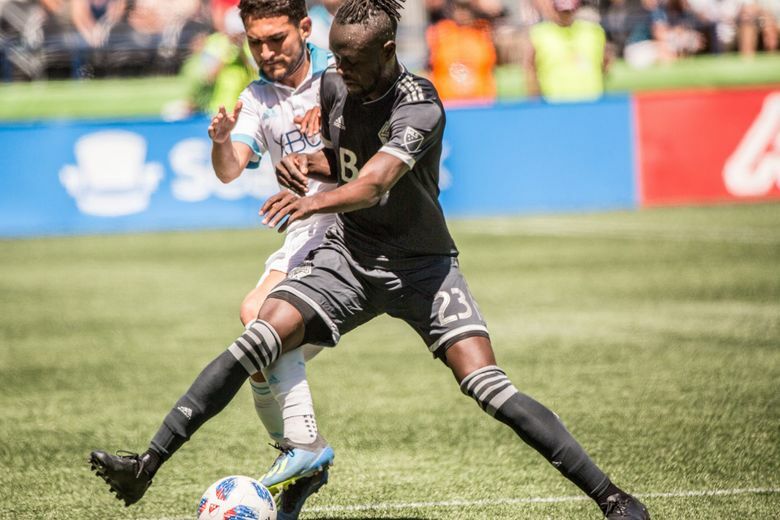 The Whitecaps were without teenage midfielder Alphonso Davies, a late scratch amid rumors of a pending $12-million transfer deal to Bayern Munich. 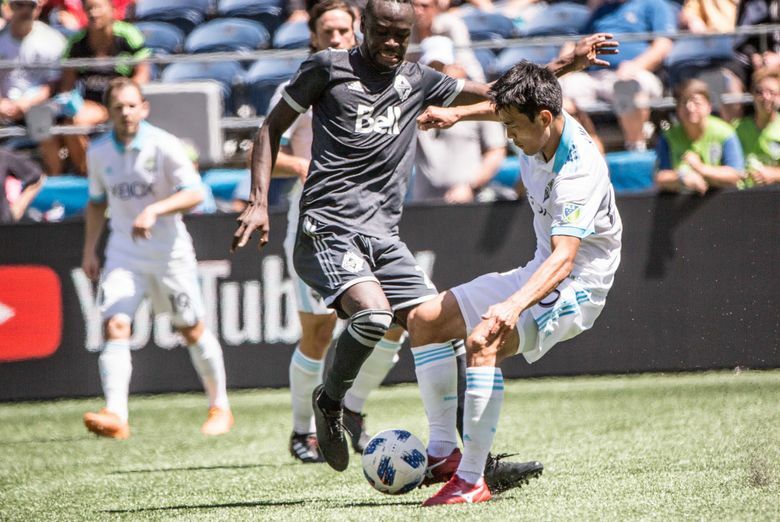 Minus Davies, a Ghanaian-born Canadian citizen, who has three goals and six assists already at age 17, the Whitecaps mustered almost zero attack. 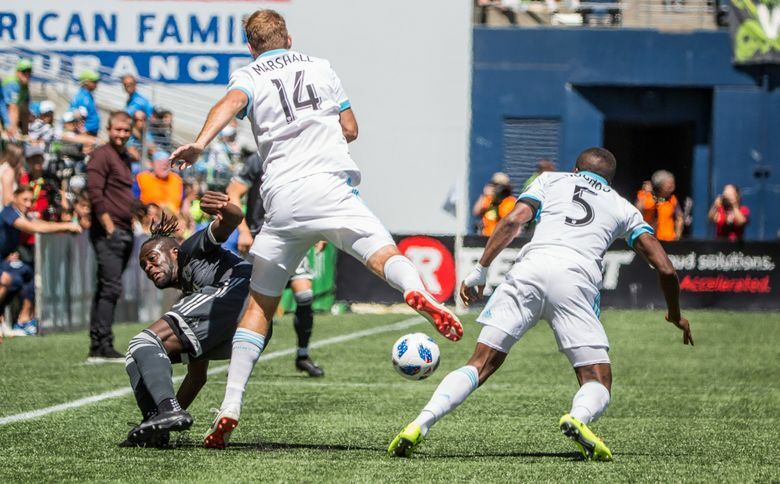 Their biggest chance to get back in it was thwarted by video review in first-half stoppage time, a handball call against Chad Marshall and a potential penalty kick wiped out. 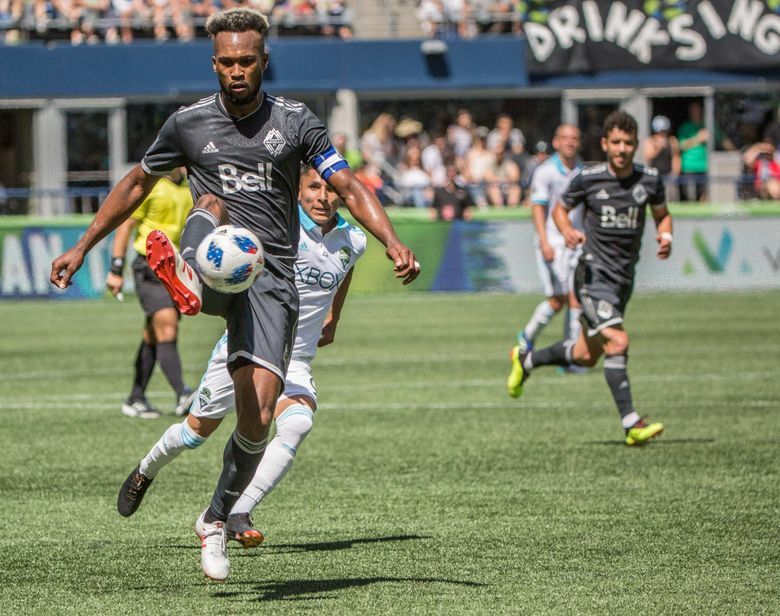 An early handball call against Whitecaps defender Doneil Henry was upheld by video review, with Lodeiro burying the ensuing penalty kick to the left of Marinovic. 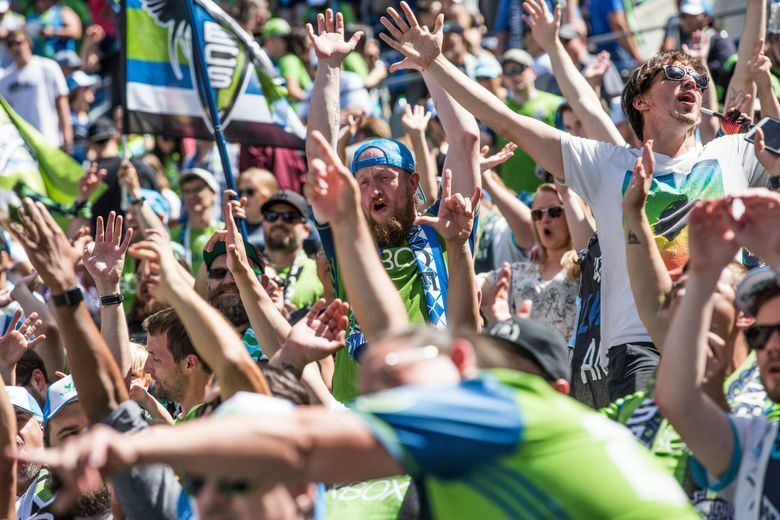 Last weekend at Atlanta, Lodeiro opened the scoring on a penalty kick fired down the middle. 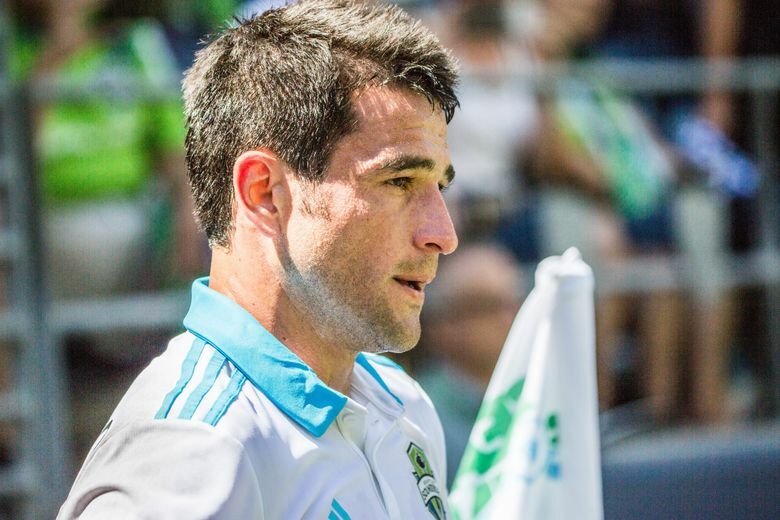 “The keepers know me, so I think I needed to change things up,’’ Lodeiro quipped. He certainly drilled the equivalent of a change-up — or perhaps a nasty slider — at Marinovic for his second goal. The bending blast from 25 yards out initially had the keeper moving right, only for the ball to curl by him to his left, deflect off his hand and roll on in. 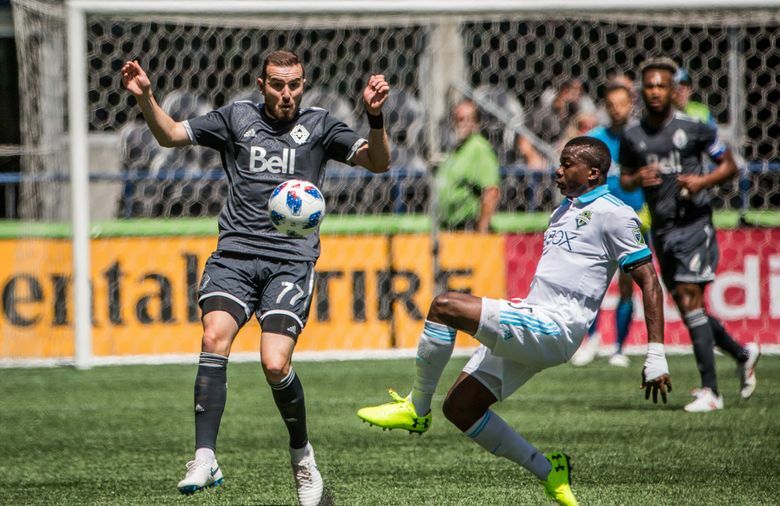 The Sounders picked up their first shutout victory, dominating second-half possession once Ruidiaz entered. Sounders coach Brian Schmetzer, worried about Ruidiaz’s lack of playing and training time since the World Cup, gambled somewhat by not starting him for a second consecutive critical match. But Lodeiro’s goals made that a moot point, allowing Schmetzer to ease Ruidiaz in. Rodriguez’s injury, to be re-evaluated in the coming days, caused Schmetzer to change his substitution strategy and not use Clint Dempsey. 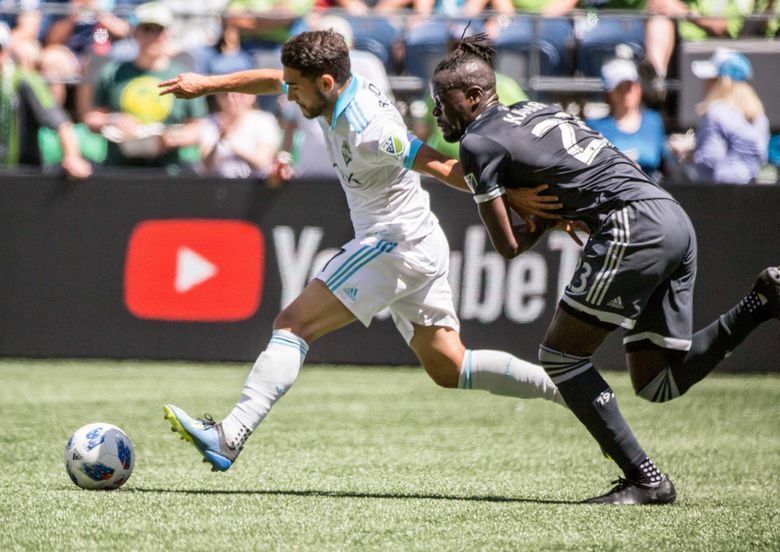 Schmetzer admitted he wants to soon see how Dempsey and Ruidiaz play together so he can make some decisions before a stretch run that badly needed this home jump-start. 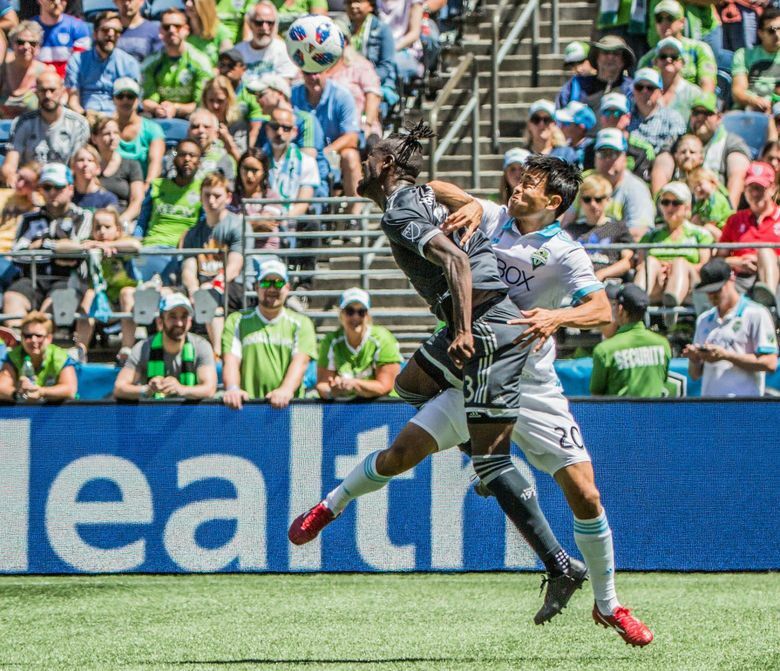 “Every point that we can collect is vital for us to make the playoffs,’’ Schmetzer said, adding the 2-0-2 unbeaten streak “gives the guys more belief that they can persevere over what has been a challenging season. And likely won’t be for some time. Still, if they can have two DPs firing on all fronts instead of just the expected Ruidiaz boost, a giant task ahead becomes a little less daunting.